Making the decision to hire overseas workers is a big decision, and requires the Australian employer to accept a range of obligations. However, filling gaps in Australia’s skilled workforce can be a rewarding experience for Australian businesses. When an Australian employer makes a decision to hire an overseas recruited skilled worker, our role is to provide advice about Australian migration law and assist the employer and the overseas skilled worker through the visa application process. Australian Government policy allows industry to be provided with much needed overseas skilled workers, while not undermining local training and employment opportunities. Australian employers seeking to hire an overseas skilled worker can only do so if they demonstrate that they have been unable to fill the position locally, and must be committed to training Australians. 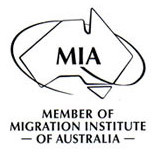 Conditions of employment provided to overseas workers must be no less favourable than the terms and conditions the employer provides, or would provide, to an Australian citizen or Australian permanent resident to perform work in an equivalent position in the person's workplace at the same location. There are a number of different visa options for overseas workers, with visas available for either temporary residence or permanent residence. When an overseas worker commits to the life-changing process of moving to a new country, it is important that you obtain the best advice and avoid future visa problems.